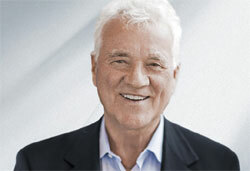 In the summer talks of Austria´s public broadcaster ORF, Vice Chancellor commented that the founder of Magna Frank Stronach should acquire ÖBB (Austrian Railways). A highly controversial debate has begun. The chairman of the governing ÖVP (Austrian People´s Party) and Vice Chancellor recently said that Frank Stronach, who announced to found a new party in Austria, should acquire ÖBB. This would be better for Austria than a new party, he said. Many observers perceived Spindelegger´s statement as ironic.